The IAGTO Awards represents the International Association of Golf Tour Operators and showcases the Best Golf Destinations of the Year, voted for by the world’s golf tour operators and golf travel writers. Not a huge surprise that North Florida took the spoils for this award given the incredible championship golf on offer within a short distance of the Sunshine State. 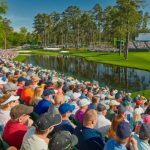 Whether it is the likes of Sawgrass, so famous for The PLAYERS Championship or fantastic coastal golf at Daytona Beach, there is an amazing array of memorable golfing trips to enjoy. Many will enjoy the easy flights into Orlando and take on the drive of just over 2 hours to Sawgrass, there are plenty of great stop offs nearer to the airport to break up the trip. 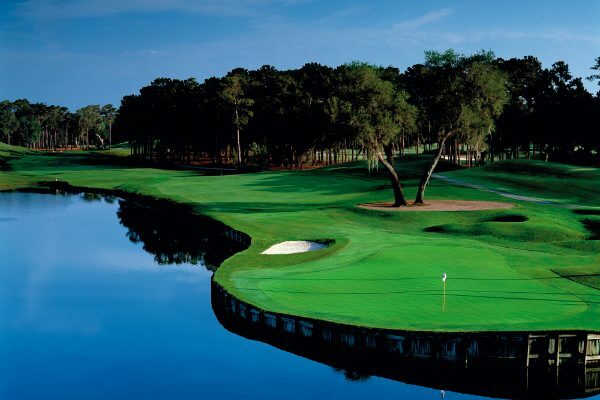 The worst score on the famous 17th at TPC Sawgrass is 12-over. Bob Tway put 4 balls in the hazard and then 3-putted during the 2005 Players Championship. Andalucia, Spain is home to the famous Valderrama Golf Club, so it is of no shock that this won the Golf Destination of the Year for Europe. Having hosted the Volvo Masters for 14 years as well as the 1997 Ryder Cup, Valderrama Golf Club is on the must-play list for so many golfers. Match this with the Finca Cortesin that has hosted the Volvo World Matchplay between 2009-12 as well as over 60 courses in the Costa Del Sol region alone to explore, it’s an ideal golfing destination. 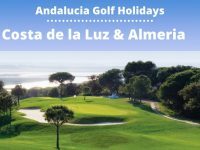 Added to this, with over 300 days of sun a year in Southern Spain and stunning cultural hotspots such as Alhambra Palace, Barrio Santa Cruz and the Cathedral de Cordoba, there’s more than just quality golf in the area. And if you are looking for plans on a night, then look no further than the lively city of Marbella, which is host to some of the best nightclubs in Europe! Which of these areas do you think are the best in #Europe for #golf #holiday? James Bond film ‘Die Another Day’ had scenes filmed in Cadiz in Andalucia. The scenes where Pierce Brosnan and Halle Berry are in Cuba, was actually shot in Cadiz. Who doesn’t want to go to the Western Cape in South Africa? With the likes of the Jack Nicklaus designed Pearl Valley near Cape Town, to the stunning Arabella Western Cape Hotel overlooking the Kogelberg Nature Reserve, as well as the famous Gary Player designed Fancourt Country Club, having previously hosted the 2003 Presidents Cup and featuring 3 different courses. It’s a golfer’s paradise for those wanting a variety of challenging golf courses! There’s more to golf at this destination as well as there are multiple must-see attractions. Animal lovers will enjoy visiting the Sanbona Safari to see the Big 5 roaming freely or perhaps prefer to head to the coast and see the Cape Whale Route or take a dive in a shark cage at Shark Alley, which is host to one of the largest populations of Great Whites in the world. As well as incredible wildlife, the Western Cape also has the famous Table Mountain to explore, where golfers can see a flatter surface on the top of the mountain than they will on the course. At 1,085m high, it’s a breathtaking location to take in the views of the Atlantic and Indian Ocean south of the Western Cape. But for a further close-up of the Atlantic Ocean, take a ferry across to the famous Robben Island and visit the prison in which the late Nelson Mandela was held for 18 years. Here’s a tough one! Where would you go on a #golf #holiday to Africa & Gulf States? The Highest Commercial Bungee Jump in the World at 710 feet is at Bloukrans Bridge in the Western Cape. The coast of Los Cabos offers a tremendous selection of championship golf courses and stunning views of the Sierra Madre Mountains and the Pacific Ocean, that makes it a worthy winner. In the Los Cabos Corridor alone, golfers can enjoy a number of coastal courses including Jack Nicklaus and Robert Trent Jones Jr. designs at Palmilla Golf Club and Cabo Real Golf Course with every hole offering views of the Sea of Cortez. Added to this amazing array of quality golf courses within the Los Cabos Corridor and an amazing selection of views, Los Cabos is also renowned for its nightlife and being a hotspot for Spring Breakers, so golfers can expect an incredible night out here! With the main strip being within the Los Cabos Corridor as well, it’s the perfect golfing destination. The Twitter Poll clearly disagrees and I would also. With the likes of Royal Westmoreland, Sandy Lane & Apes Hill in Barbados, it is one of my favourite golf destinations. Where would you go on a #golf #holiday in Latin America and the Caribbean? Scenes on the Beach in the film ‘Troy’ were filmed along the Los Cabos Corridor Beaches. For a truly unique setting alone, the Chiang Mai Province is a worthy winner. Located in the North of Thailand, amongst the Tropical Jungle and Mountainous terrain there are a variety of quality golf courses with views that are unmatched in golf. Play the Host of the Chiang Mai Golf Classic on the Asian Tour at the Alpine Golf Resort, which meanders amongst the valleys of the San Kampaeng forest and mountains. Or play the Chiang Mai Highlands, voted in the top 3 for Best Golf Resort in Asia by Asia Golf Monthly in 2015. The atmosphere and environment in the Chiang Mai Province is simply breathtaking and with all these great courses in the area being accessible from the Chiang Mai International Airport, golfers are in for a treat travelling to this destination. Also part of travelling to the 2nd biggest city in Thailand is to embrace the culture and explore the local area, which is why it is such a great all-round golf destination. From visiting traditional Buddhist Temples to the famous Tiger Kingdom, home to over 50 tigers, the Chiang Mai Province has some unique opportunities. Which destination would you pick for a #golf holiday to Asia? That the Wookie Homeland in Star Wars: Revenge of the Sith was filmed here. Located in the South of Greece, the Costa Navarino Resort has the perfect blend of two-quality courses and a number of tranquil white sandy beaches. 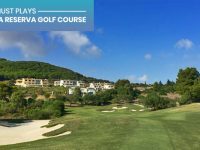 The main attraction for golfers will be the Dunes Course designed by Bernhard Langer, which features a mixture of a coastal links-style course, with undulating terrain that cuts through olive trees on holes slightly further inland. The resorts other course, the Bay Course, was designed by Robert Trent Jones Jr. and offers a completely different test. Shorter and more forgiving than the championship Dunes Course, the Bay is certainly the more attractive of the two, built in one of the most naturally breathtaking locations in Europe. We sent a couple of YGT staffers, YGT Rory and Big Red Tom out to Greece to play the courses alongside Mark Crossfield and Coach Lockey. Watch the vids to see more of these amazing courses! But of course there is more to this resort than just golf, as there is much to see in the beautiful area of Greece, including the Ancient Site of Olympia which shows the ruins of the original Olympic Games as well as stunning views at the Neda Waterfalls & Polylimno Waterfalls. Also at only 1 hour from the Kalamata International Airport, stopping off at the white beaches and waterfalls could be the ideal way to start the trip. Bernhard Langer has the 2nd highest number of Wins on the European Tour (42) and the Champions Tour (29) of all time. Also known as the ‘Myrtle Beach Fantastic Four’, the Barefoot Resort & Golf is every player’s dream. The choice of 4 courses on resort designed by Hall of Fame players and architects can’t be beat. 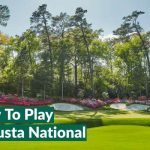 Golfers can choose from the Greg Norman, Davis Love III, Tom Fazio and Pete Dye courses that will feel like golfing royalty walking through the fairways. 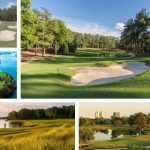 Also located along the South Carolina Bay, there’s more than just stunning coastal golf to this resort and it’s all just a short journey from the Myrtle Beach International Airport. Davis Love III has Won more PGA Tour events than Greg Norman with 21 Wins compared to 20 Wins on the PGA Tour. With the Rest of the World at your disposal, it is of no surprise that the Laguna Golf Lang Co Resort in Vietnam took this award. Located along the ‘Golf Coast’ of Vietnam and described as the best golf course design of Sir Nick Faldo’s, it has plenty to offer in terms of championship golf, beautiful vistas and cultural exploration. The golf alone will provide so many variations in natural environment, as golfers can tee off from a cliff at one hole to along a beach the next to besides paddy fields the following. There’s everything from beautiful coastal holes to inland parkland available all within 18 holes. Of course a visit to Vietnam, nearby the former Capital City of Hue, cannot be complete without visiting the monuments and tombs, including the Thien Mu Pagoda or visit the nearby Da Nang city to see the historic Lady Buddha monument or trek amongst the Ba Na Hills and beautiful gardens. The opportunities are endless at the Laguna Golf Lang Co Resort. Vietnam’s ‘Golf Coast’ consists of golf courses designed by Colin Montgomerie, Greg Norman, Nick Faldo and Luke Donald’s first design. The award for the hidden gem of a destination, has to go to Kärnten in Austria, as there are a number of championship golf courses with stunning views of the Alps! One of the main golf attractions, is the Karnter Golf Club and Dellach which plays alongside Lake Worthersee and features panoramic views of the mountains. It’s definitely Worth-er-See! Or there is the Klagenfurt-Seltenheim Golf Club which has 27 holes and has hosted the Karnten Golf Open on the Challenge Tour. It mixes a Scottish links-style course with American style greens, as well adds in an iconic island green that makes this course a beautiful photo opportunity. The beautiful scenery doesn’t stop at golf, however, as whilst in Carinthia there are a few stunning lakes to walk around, including the pyramidenkogel tower which offers the best views in the area, as well as the Eastern Alps to explore by hiking or skiing. The Highest Mountain in Austria and one of the Tallest Mountains in the Alps is in Carinthia. The mountain is called Grossglockner and is 3,798m tall.